Import, export, convert, calculate, edit ADIF and Cabrillo logs. Connect to more than 250 DX clusters all over the world. Connect to any DX Cluster using Android phone. Open, customize, filter, repair, and convert ADIF logs. Control ICOM, KENWOOD, YAESU and Ten-Tec transceivers. Find QSL information from your browser with one click. Calculate grid square and distance with high precision. Create and edit Super Check Partial database (DTA, SCP) files. Find QRZ.com Callsign info on your Android device. 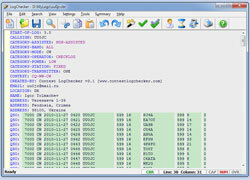 Contest LogChecker™ is a set of contest tools for use in Windows, combining advanced text editing with keyword highlighted, and the ease and flexibility of import, export, statistics and charting utilities. With Contest LogChecker™ you can edit, fill in the log, check Cabrillo Format and Header, convert files from the most popular logging software to Cabrillo and ADIF, print customizable files, calculate statistics, export logs for publishing, and much more. You can examine a log in many different ways by highly interactive methods. Visit home site at www.contestlogchecker.com for video tutorials and downloads. DXSpotter™ is designed as an efficient, stable and easy-to-use DX Cluster program. DXSpotter is capable of exchanging a tremendous amount of information in DX Clusters on the Internet and working with the popular DXSummit service. DXSpotter has a fully adjustable interface, including graphical skins, and satisfies the needs of any user. 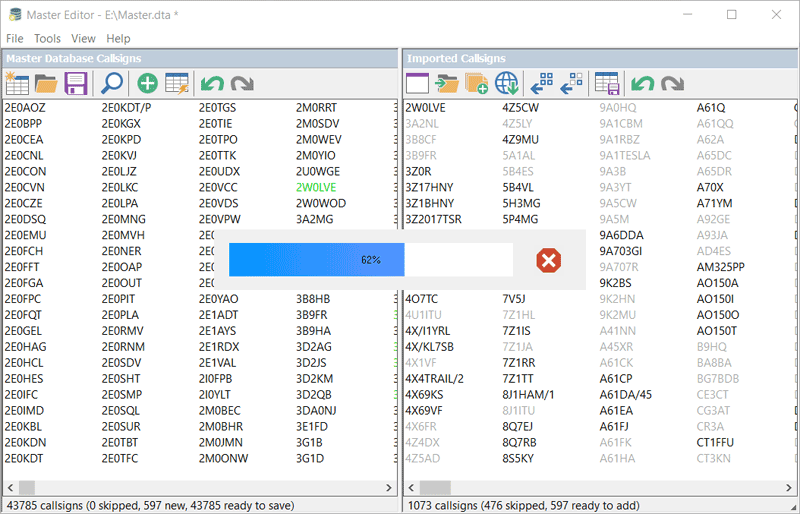 DXSpotter has the added ability to notify the user of selected DX stations, allowing the user to use the program in the background. DXPocket™ is free, fast, stable and easy-to-use DX Cluster program for Android. DXPocket monitors the DX Spots and Announcements available on the Internet at DX Summit web site and presents the information in a sortable grid format. With a single tap DXPocket allows you to retrieve 50, 100 DX spots, bands, modes, custom filtered spots and announcements. Visit home site at www.dxpocket.com for video tutorials and downloads.